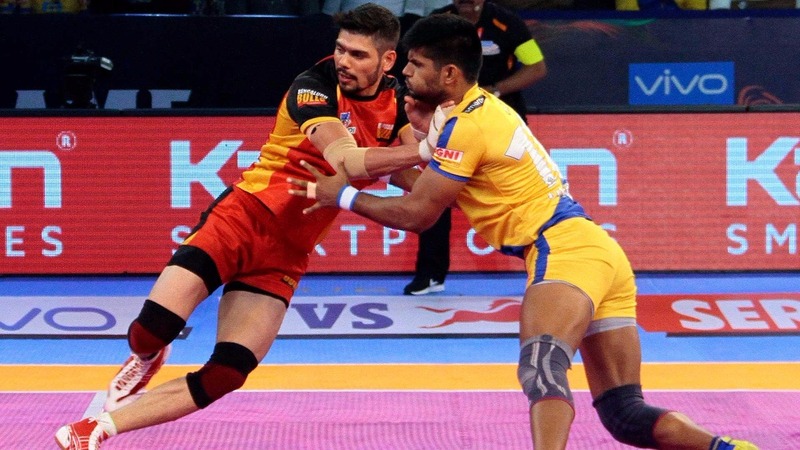 Rohit Kumar was the star of the show as he inspired Bengaluru Bulls to a 45-35 victory over southern rivals Tamil Thalaivas at the Jawaharlal Nehru Indoor Stadium in Chennai on Thursday. Kumar ended the match with a game-high 17 points after Chennai’s defence struggled to cope with his clinical raiding. He attempted more raids than anyone on the mat  and was tackled on just four occasions. Kumar bagged 13 touch points, which featured three two-point raids. He also earned four bonus points. Chennai’s defence failed to contain him as he ushered in All-Outs on them either side of the break. The Bulls skipper also perfectly controlled the pace of the game in the closing stages by running down the clock. It proved to be crucial as it halted the hosts’ late momentum that they had received by enforcing an All-Out on Bengaluru.